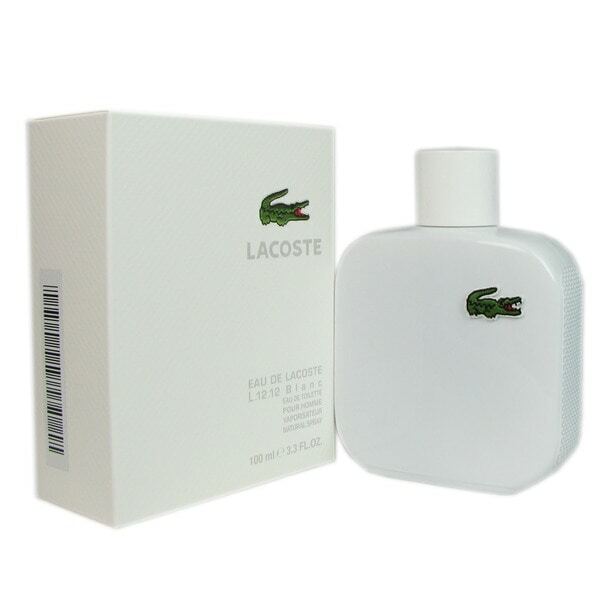 Start the day feeling fresh and modern by spraying on L.12.12 Blanc, a men's scent by Lacoste. First launched in 2011, this eau de toilette mesmerizes you with a mixture of grapefruit, cedar leaf, and Mexican tuberose. Lacoste Blanc Men's is my favorite thus far. My son wears very expensive cologne and is a Bond no. 9 scent of peace fanatic. When he sprayed this on, omg he couldn't believe how good it smelled. He wears this daily and is purchasing more scents. A clean , fresh scent. Gives you the feeling of being clean all day. Perfect! I love the way it smells. It's clean and fresh. It's not overwhelming like other colognes. I would definitely recommend if you want your man smelling nice. I don't say much more… This is by far my wife's favorite cologne for me to wear and it is fresh all day long ! This is my husband's favorite cologne. I absolutely love the smell. It's a classic clean, spicy scent. Amazing. Smells amazing as ever. Love it so much. Smells great! Bought this as a gift and they love it! Hello watch, this is not a tester. Please let us know if you have additional questions. Thanks for shopping with us. My number one go to cologne far and away - definitely smells different on each person, but my girlfriend has loved it for a long time. My wife likes this. So I'm taking the hint. "is the the real cologne?" Hello jlabarb2010, yes, this is the real cologne. Thanks for shopping with us!